Electrophoresis is used for the separation of DNA, RNA, or other charged molecules like proteins by an electric current applied to a matrix. Most routine electrophoresis applications require voltage ranging from 50-235 volts. 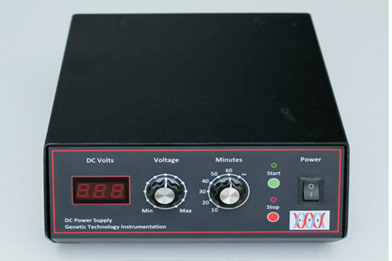 GTI-DC Power Supply is designed to operate in this range at a constant voltage mode. Copyright 2015 GTI-DC Power SupplyGenetics Resource Centre .